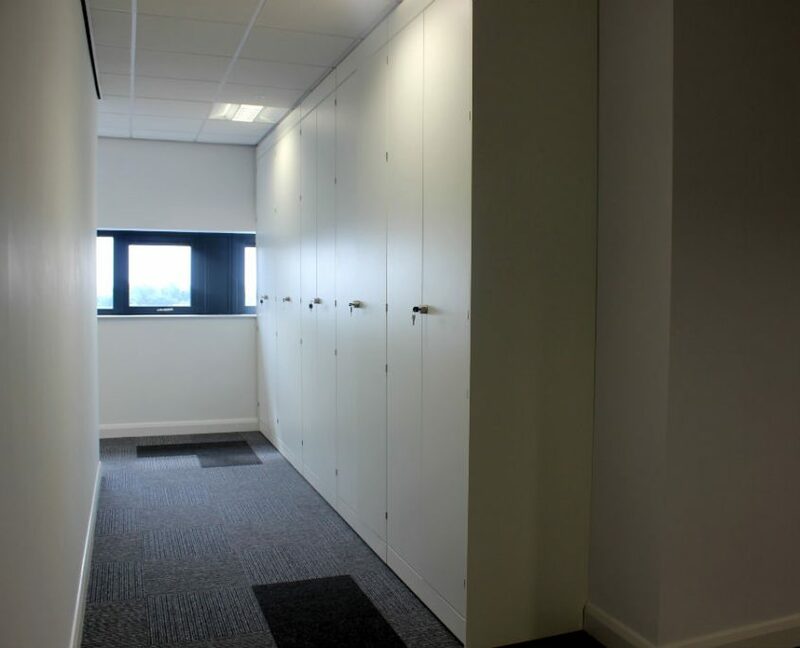 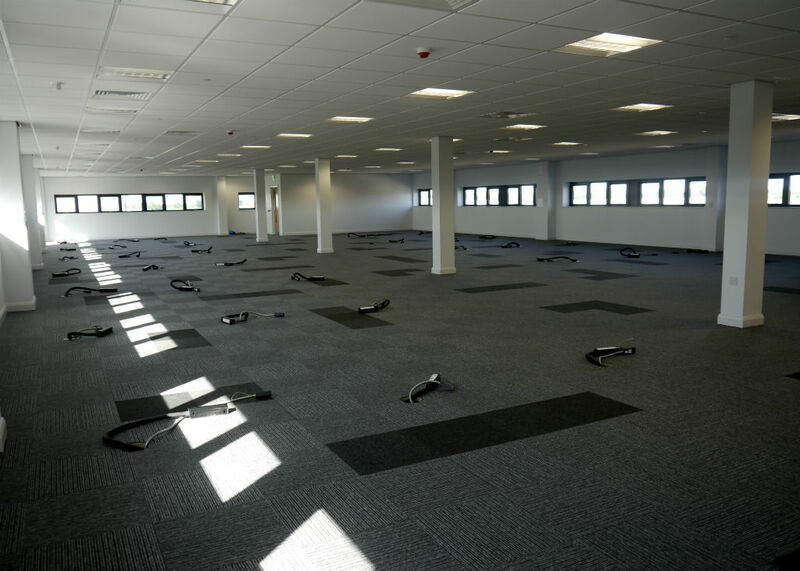 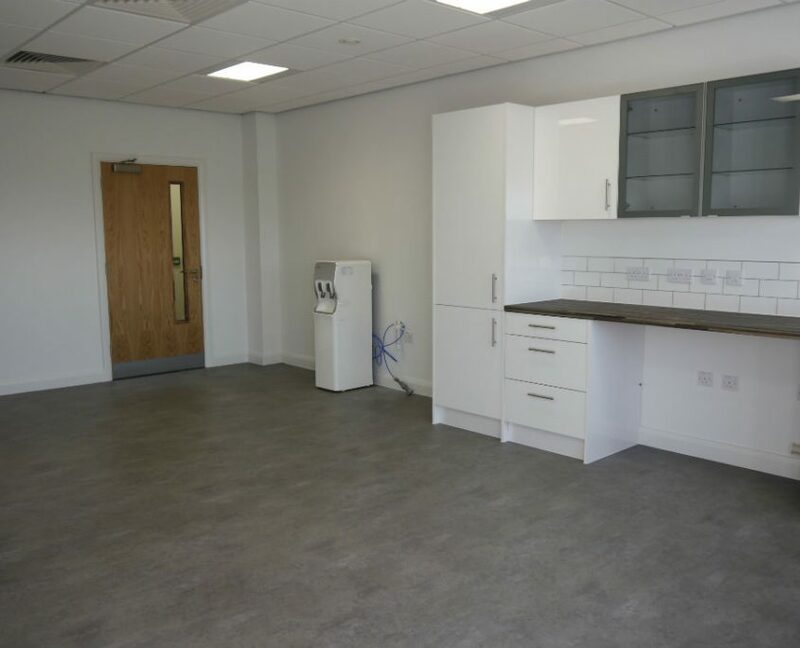 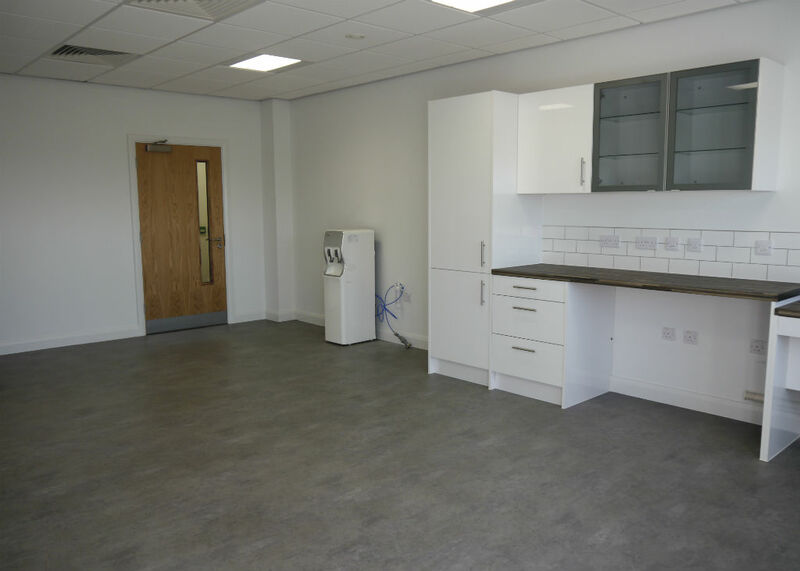 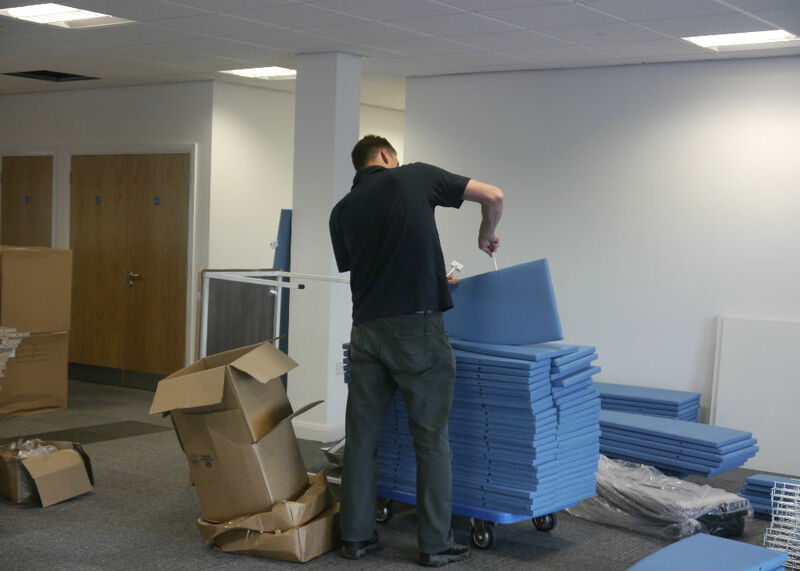 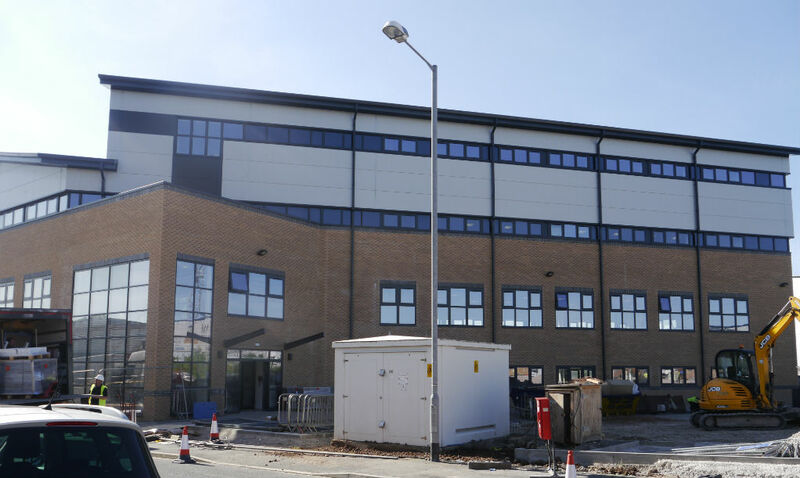 Hargreave Hale have grown rapidly and with that they needed more space. 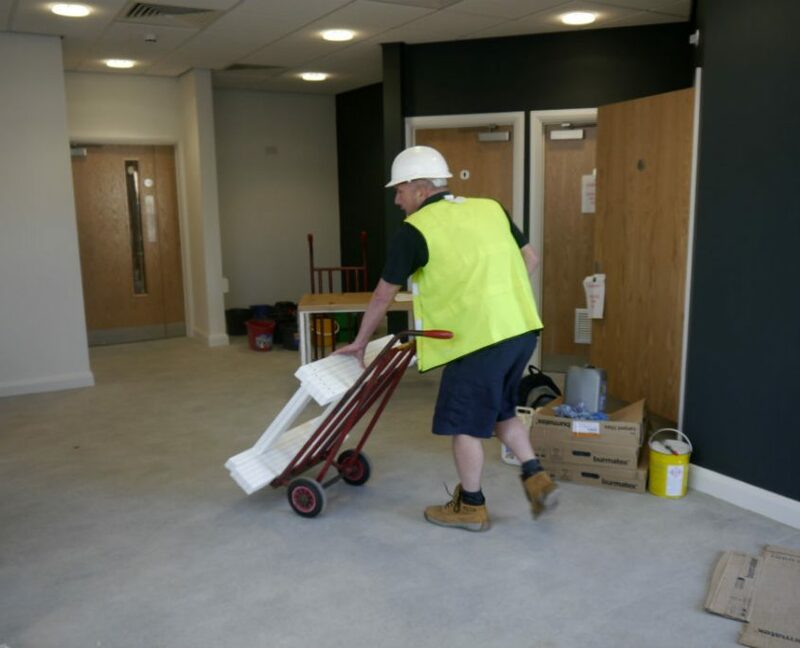 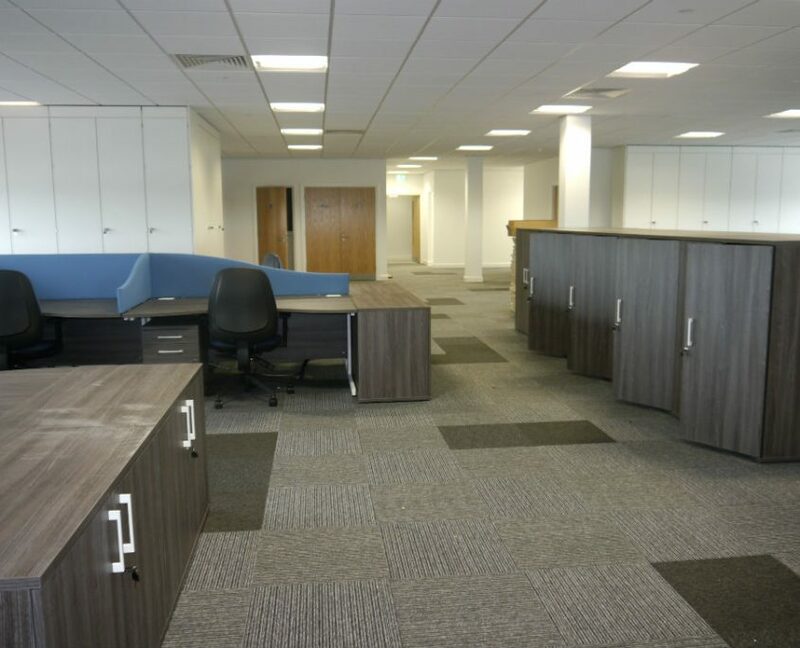 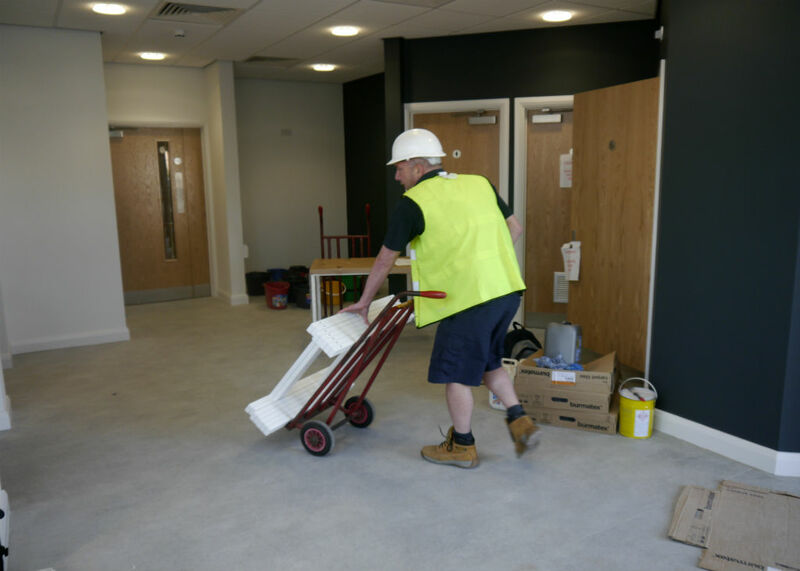 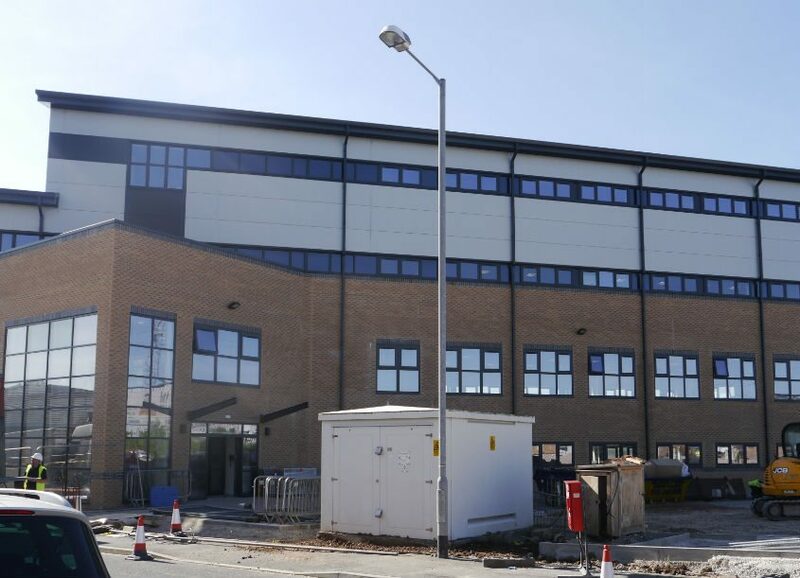 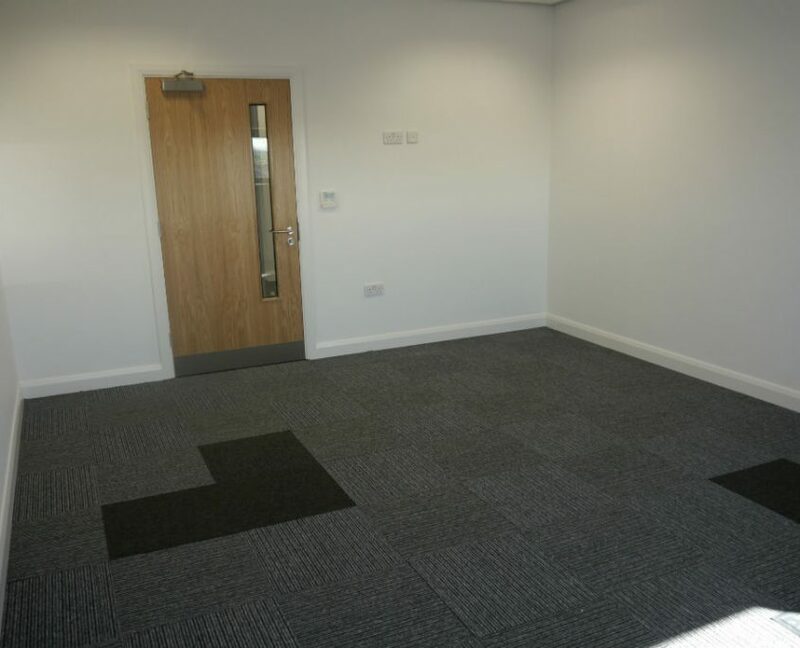 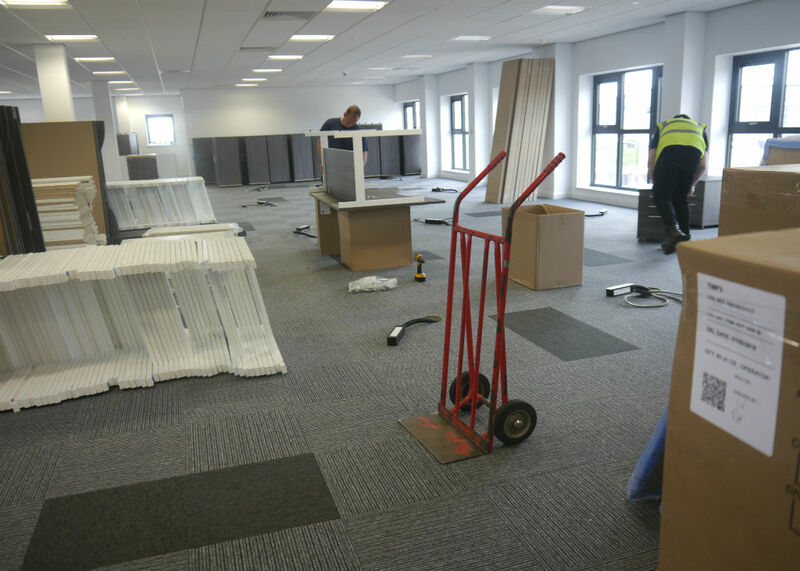 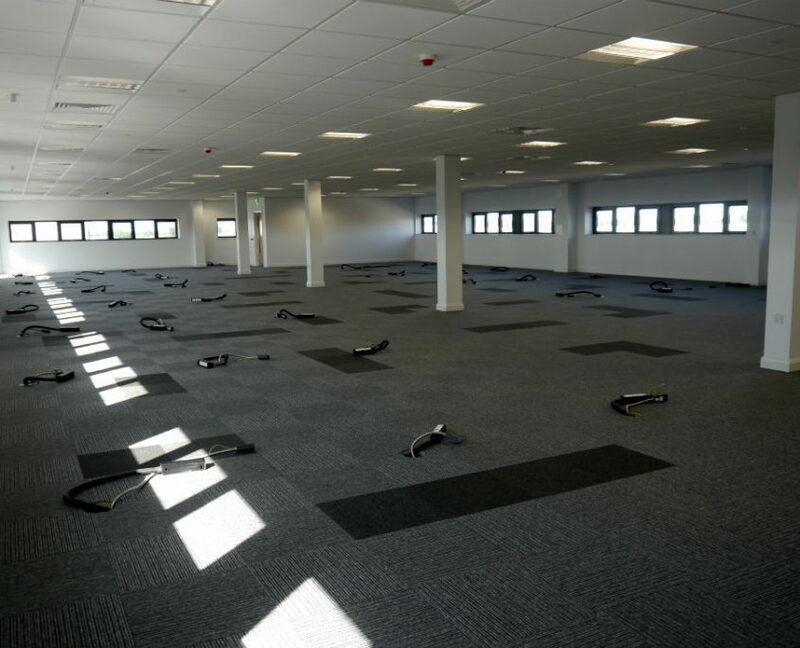 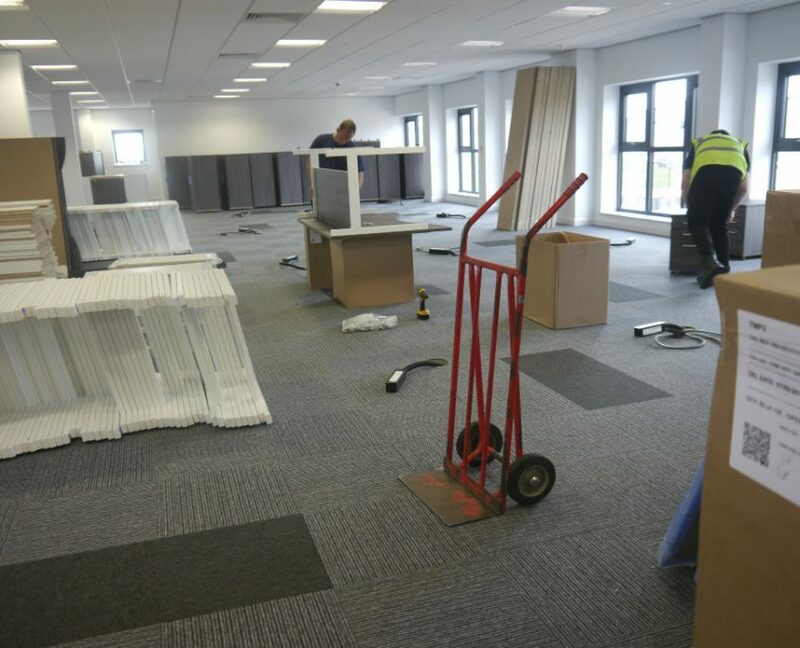 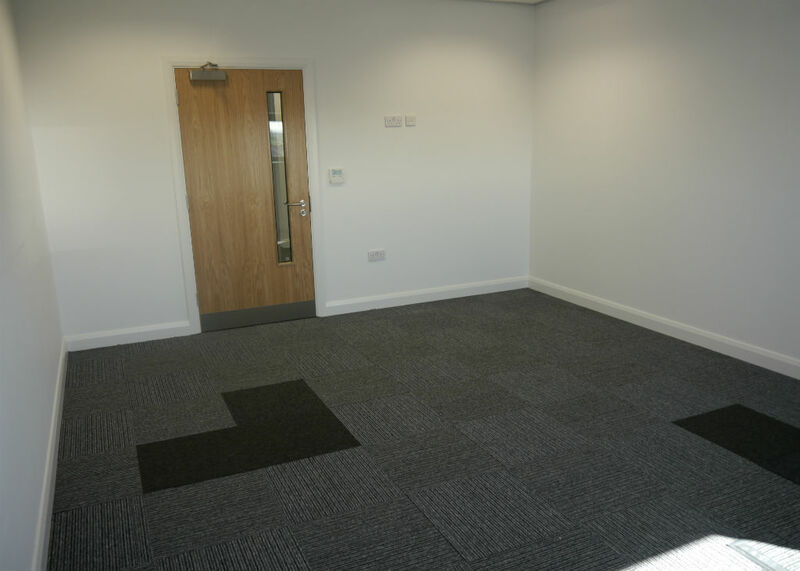 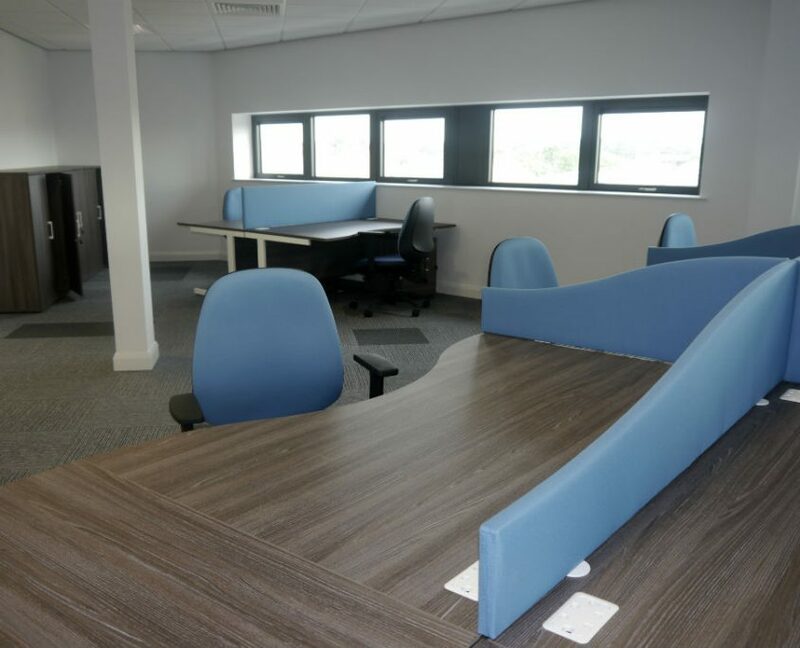 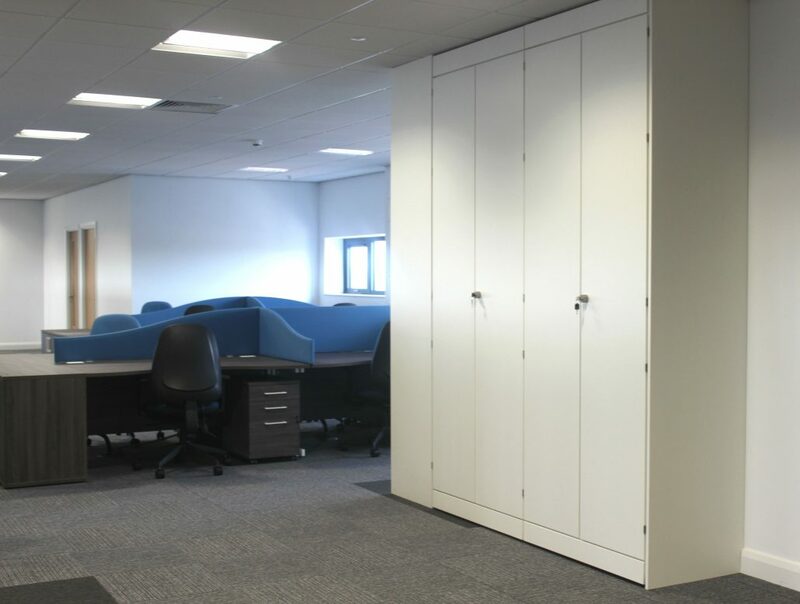 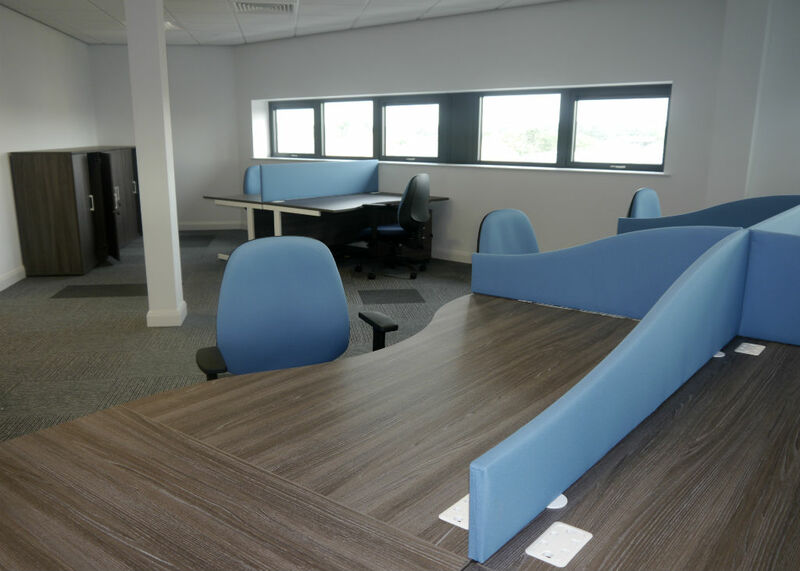 So when they decided to move in Blackpool to a bigger building we were given the opportunity of liasing with Hargreave Hale to create a new modern colour co-ordinated office for their ever growing company. 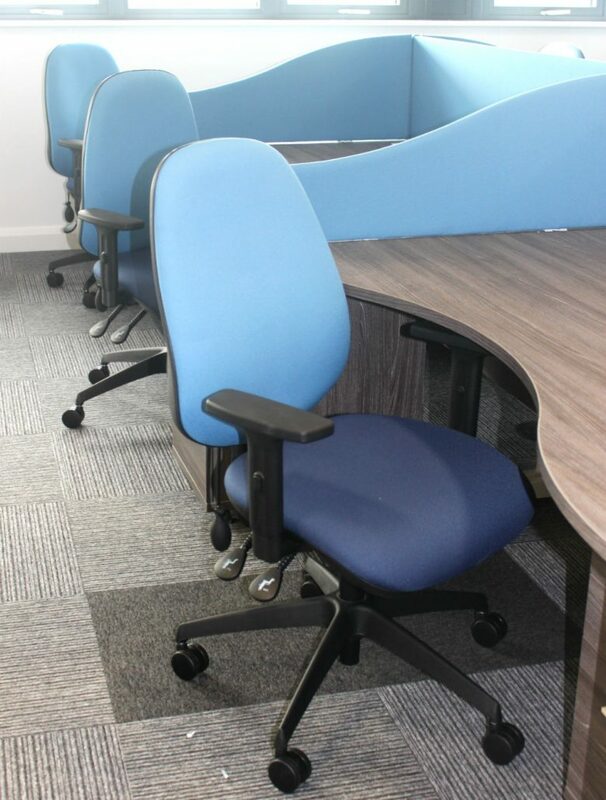 Hargreave Hale decided to keep in line with their company colours by using a light blue fabric called China and a dark blue fabric called Midnight. 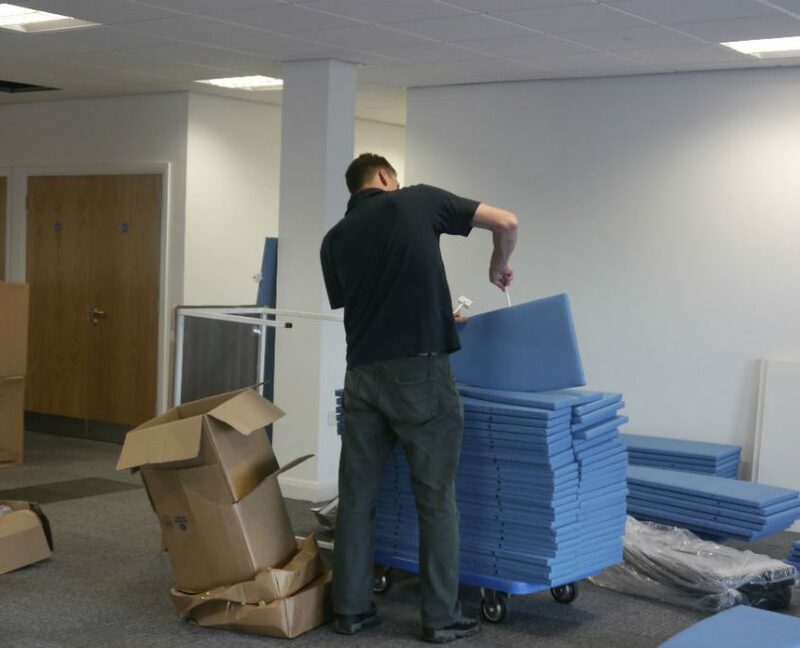 The screens used were the Jump Screens in a light blue fabric called China. 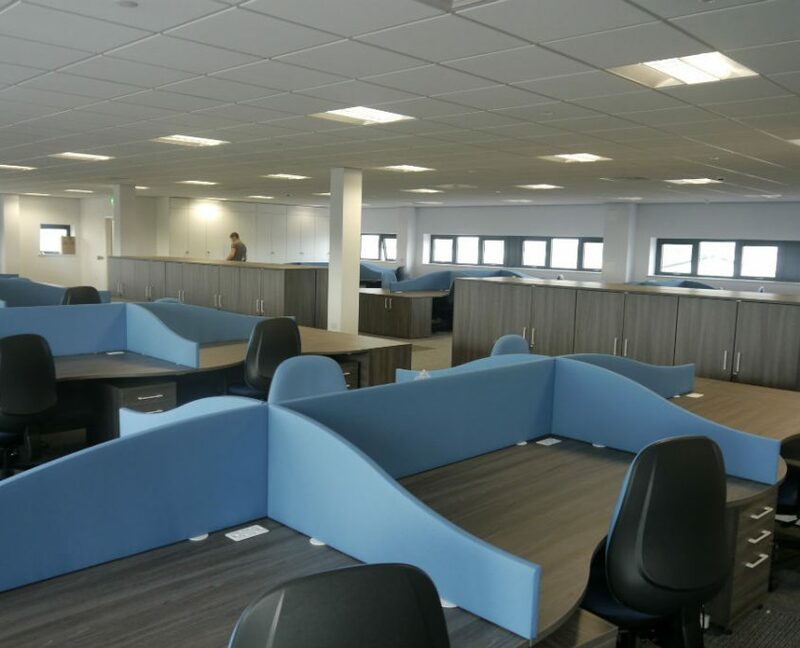 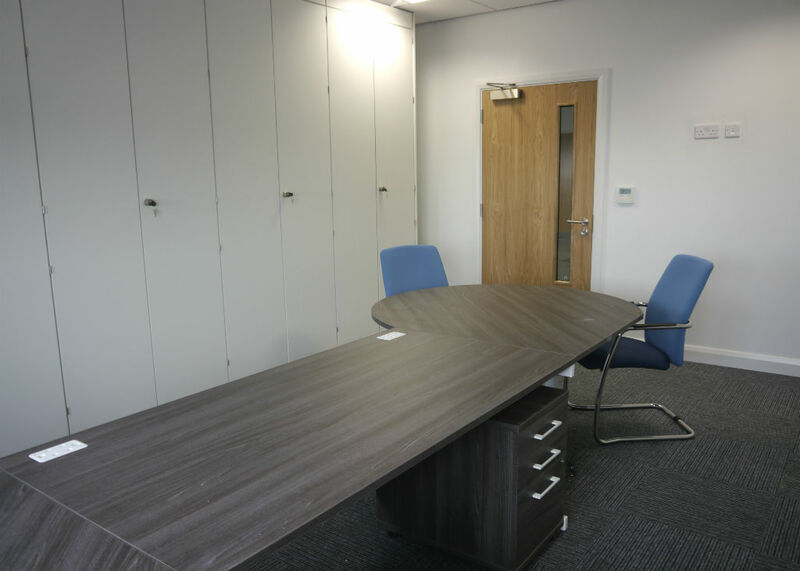 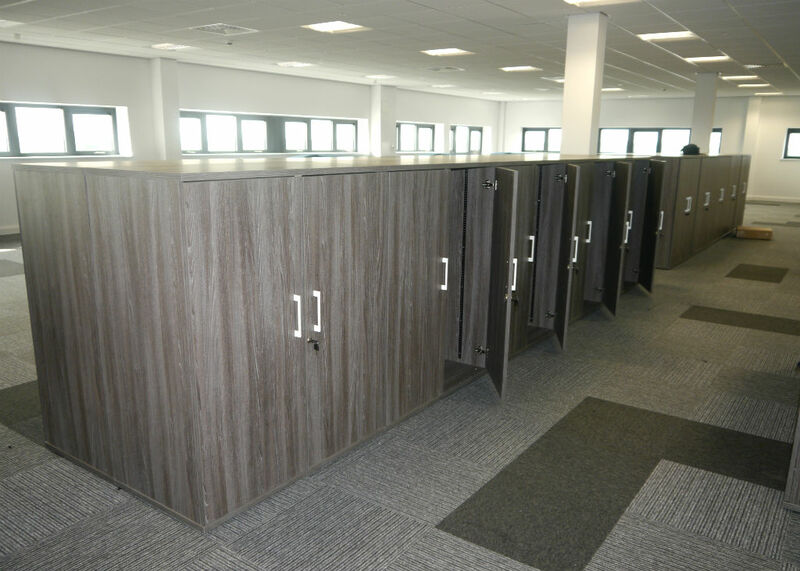 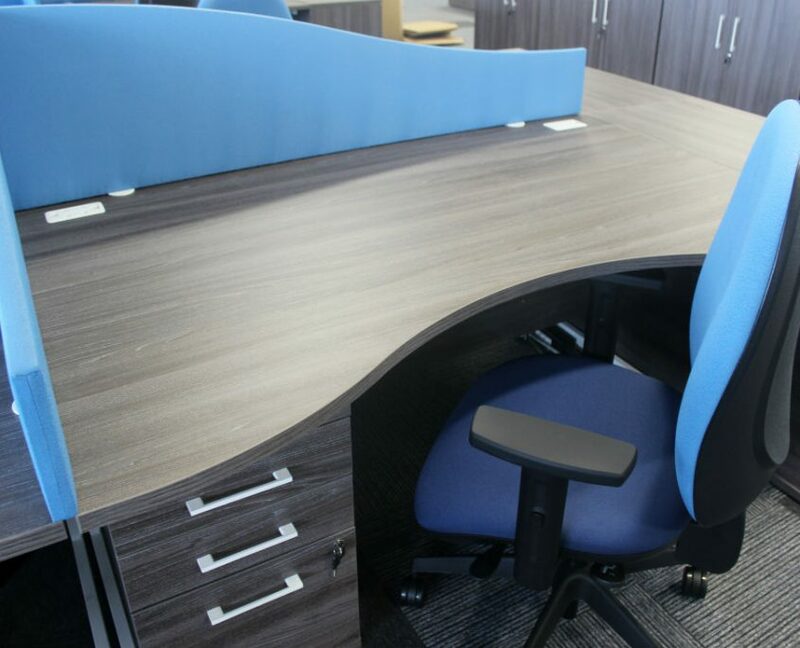 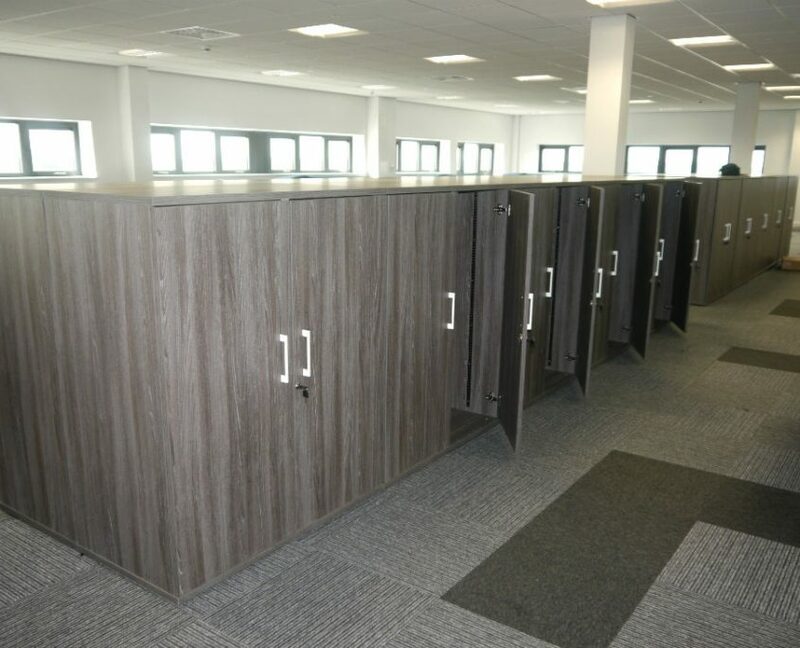 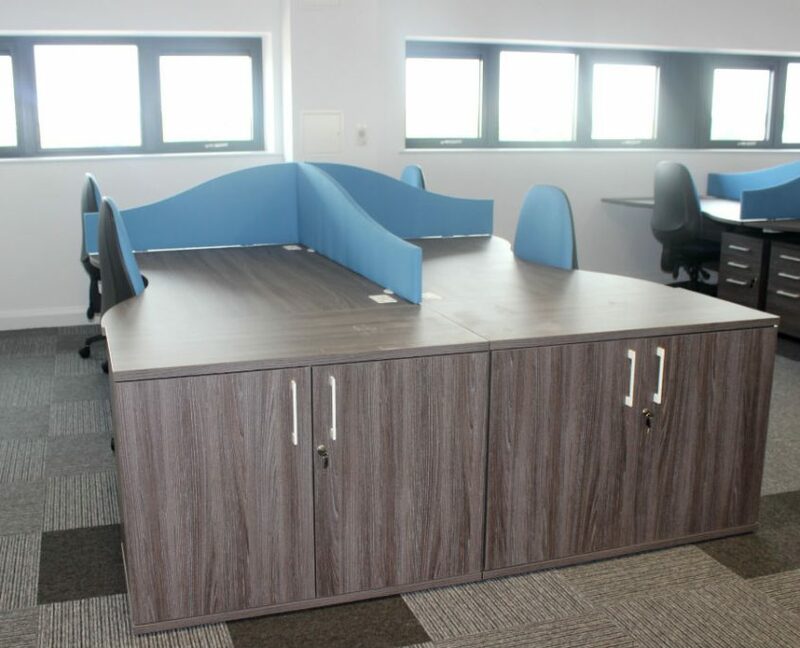 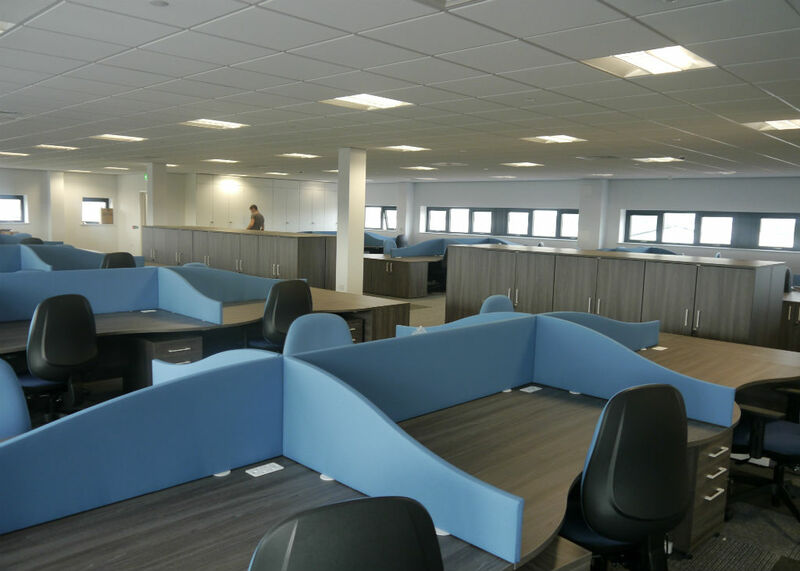 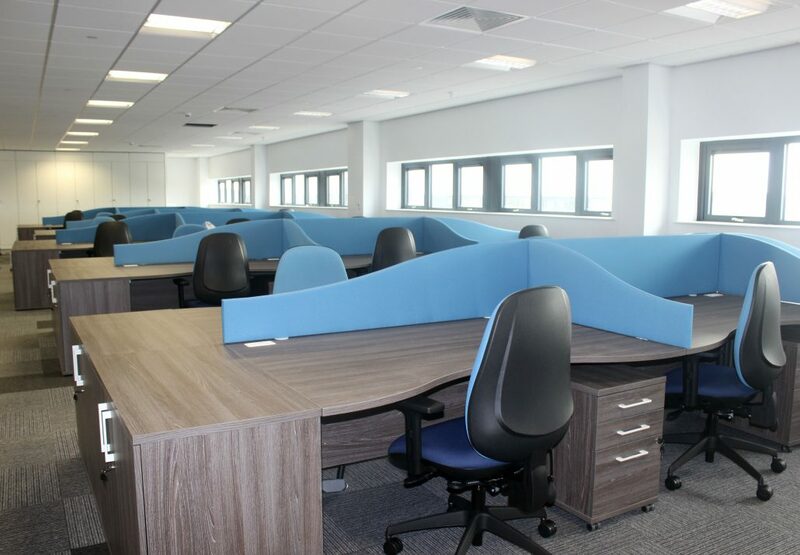 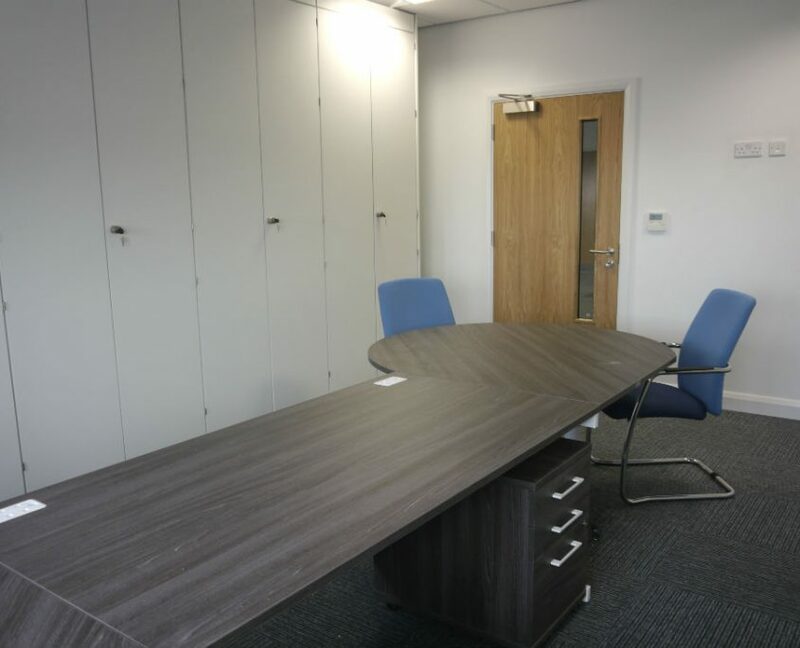 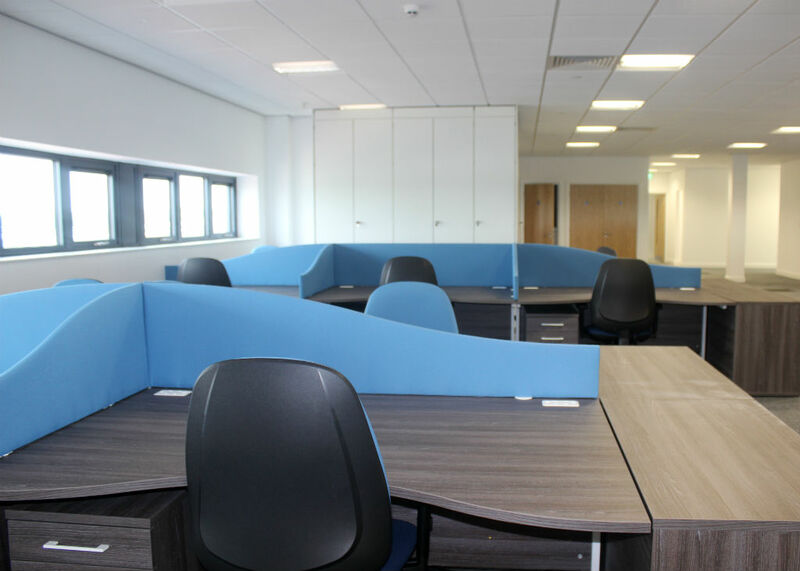 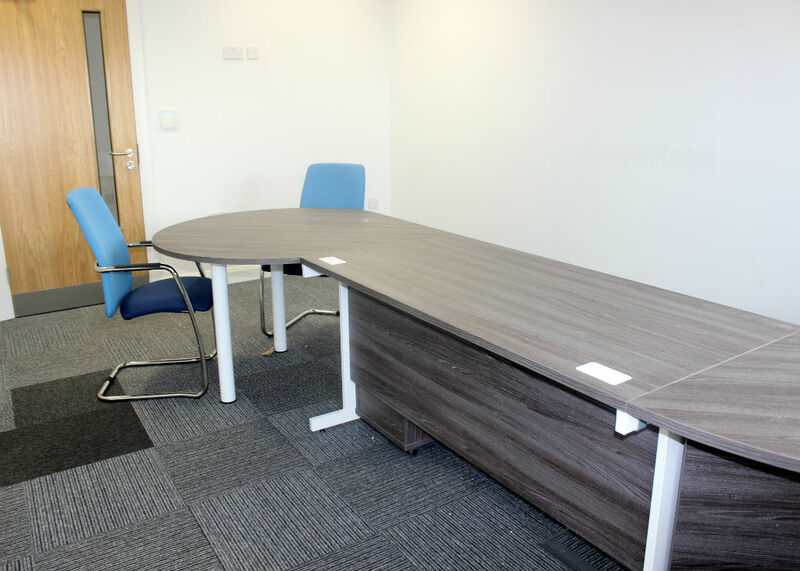 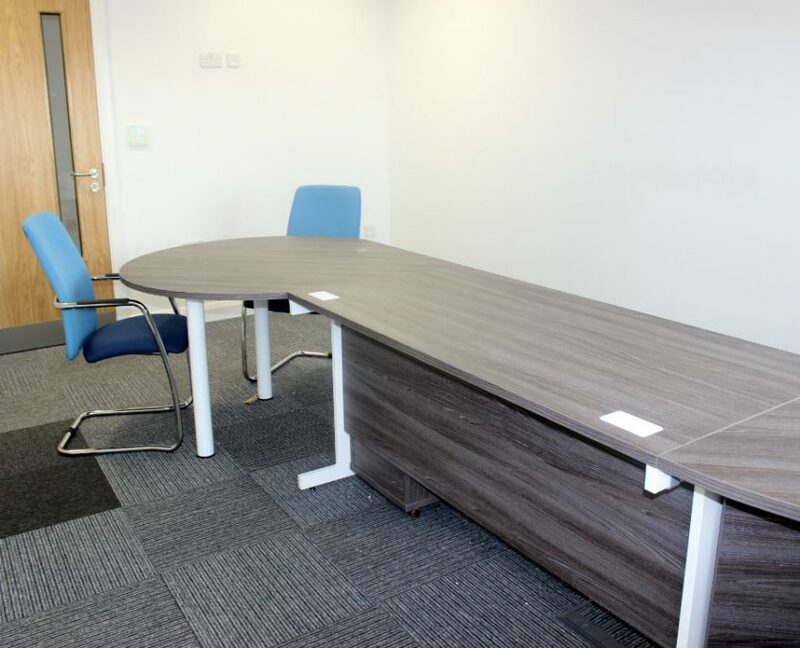 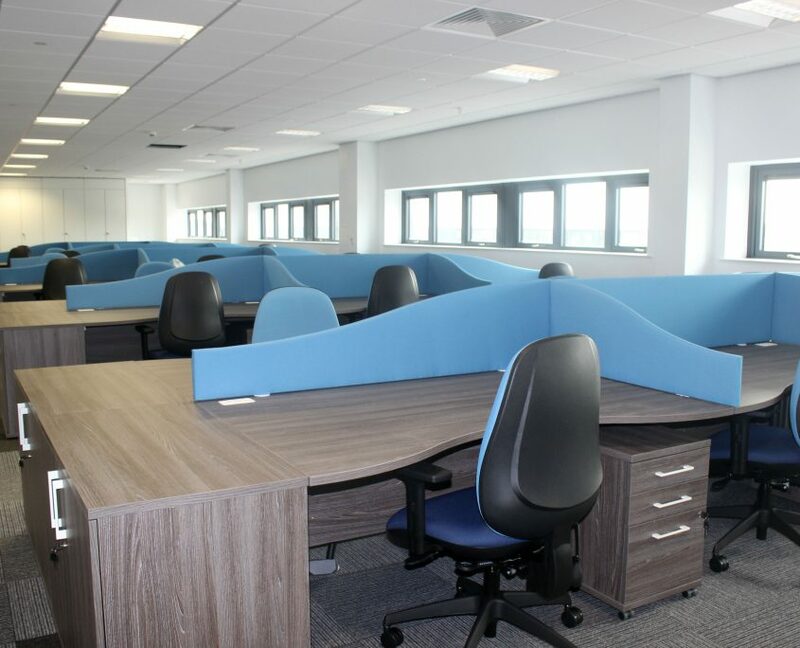 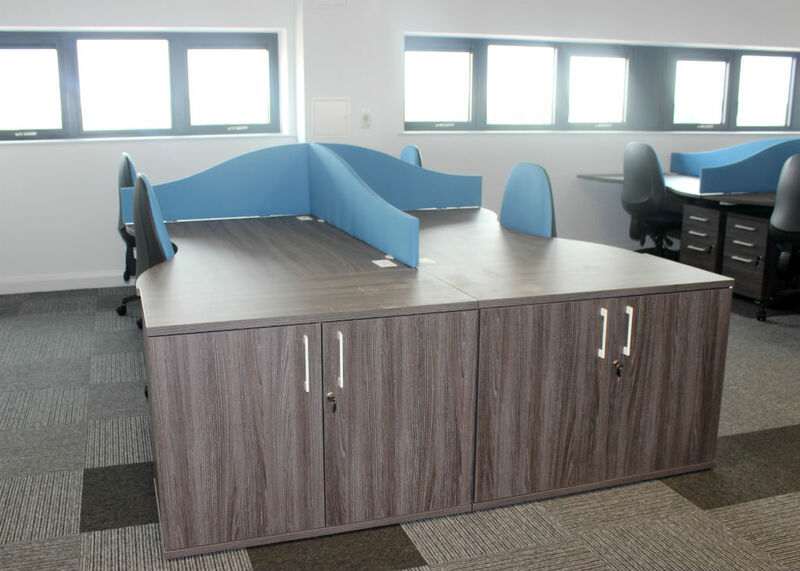 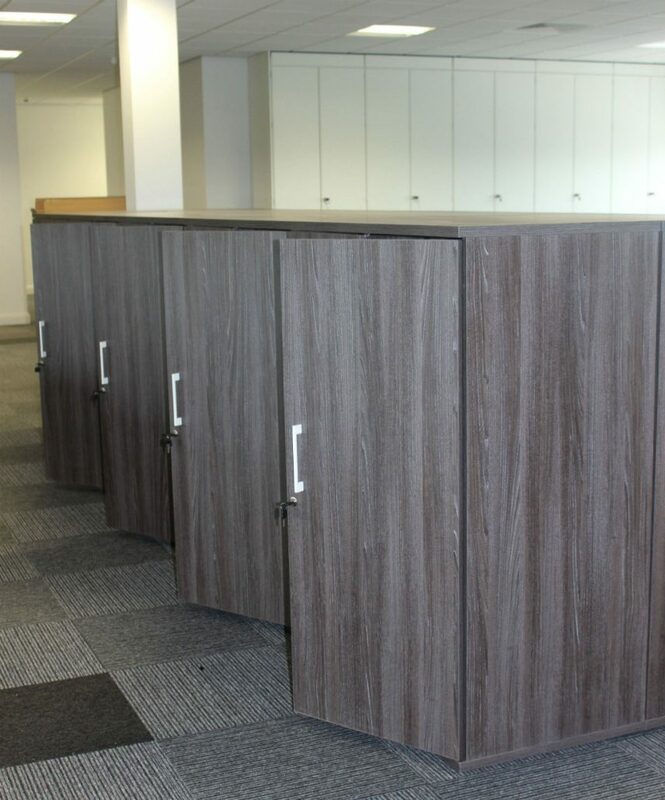 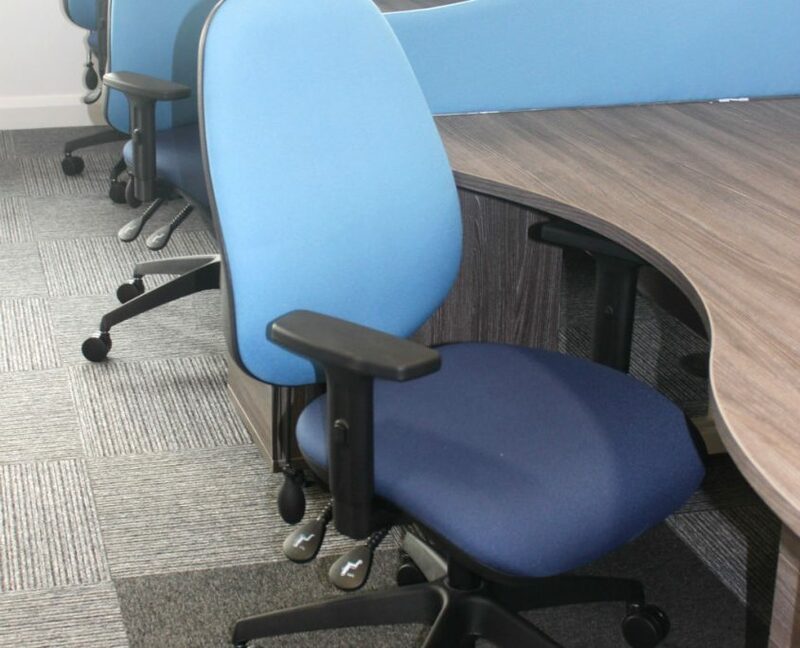 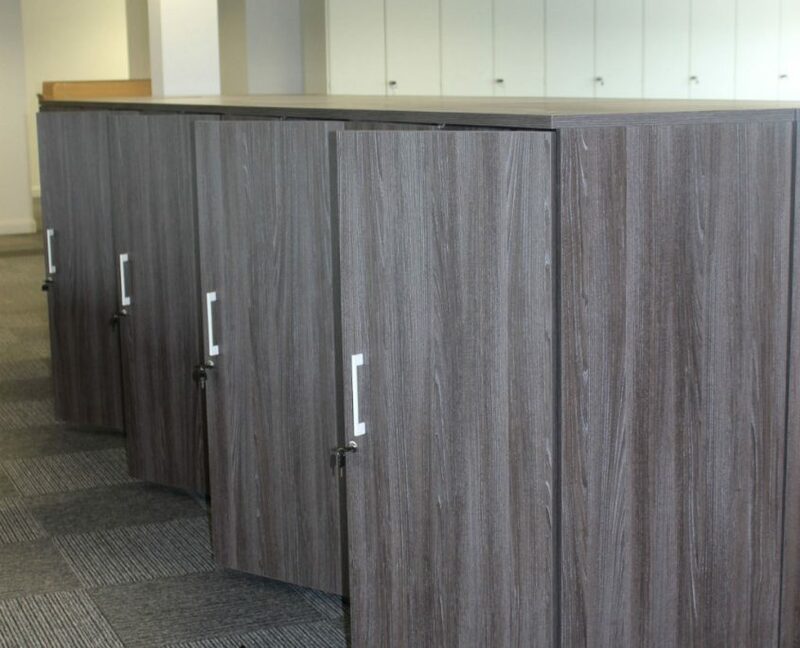 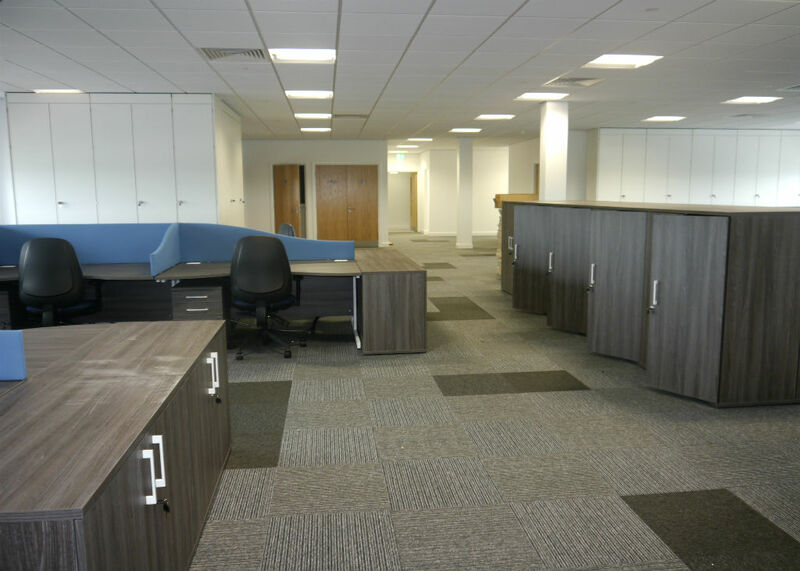 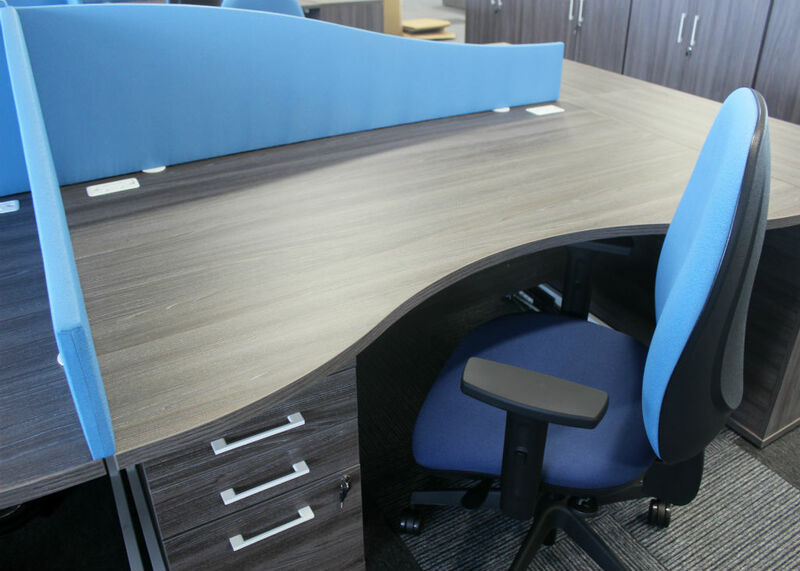 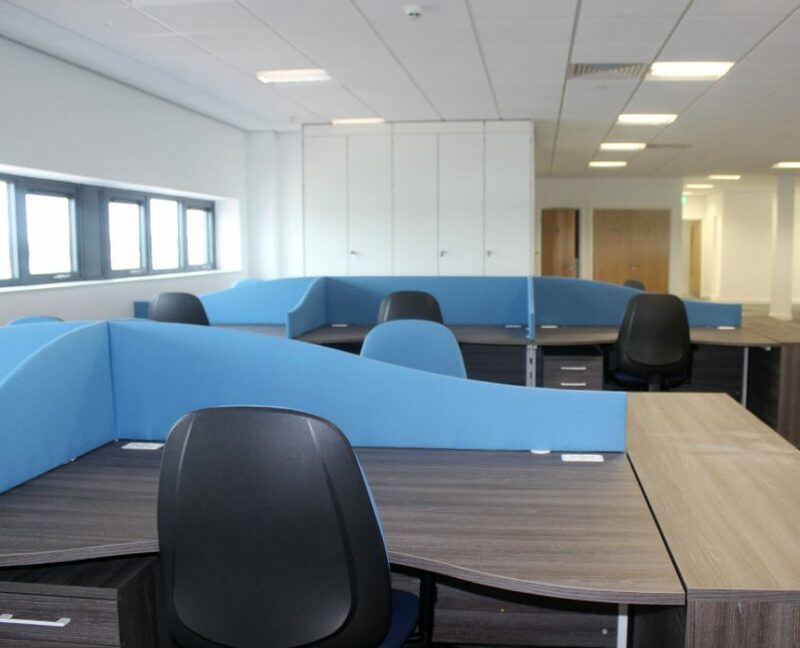 The desks were sirius double wave desks in Anthracite with mobile desk high pedestals, along side the desks we used SC3 chairs in the China and Midnight fabric. 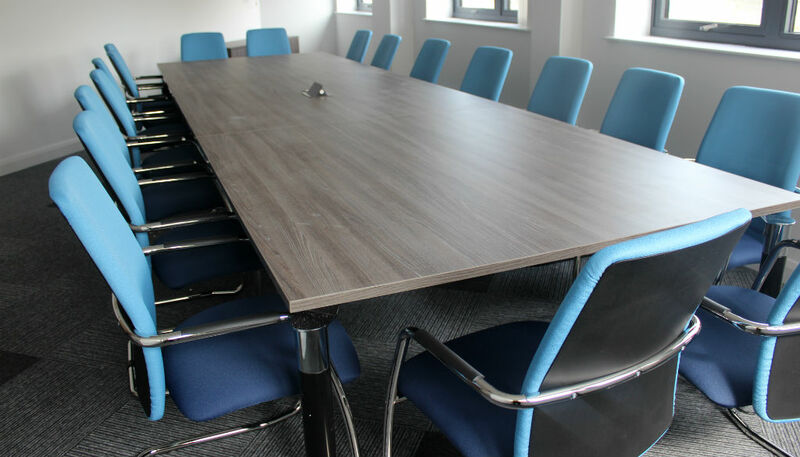 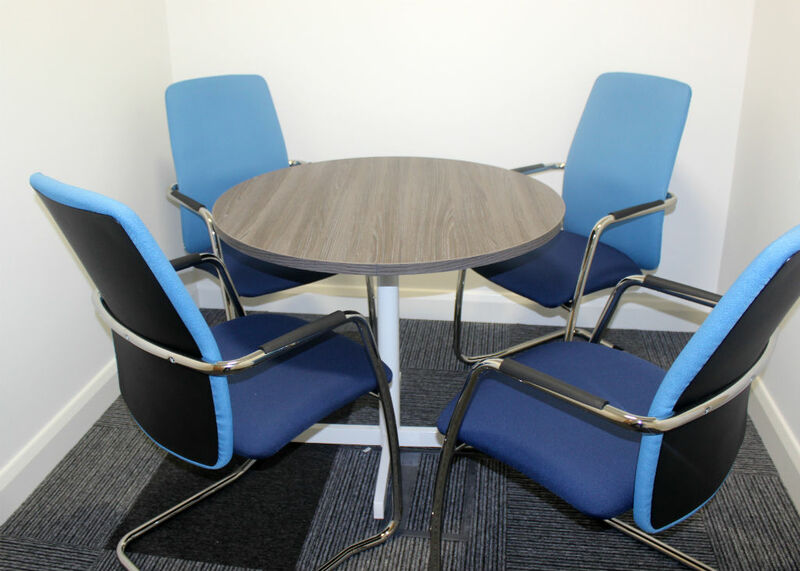 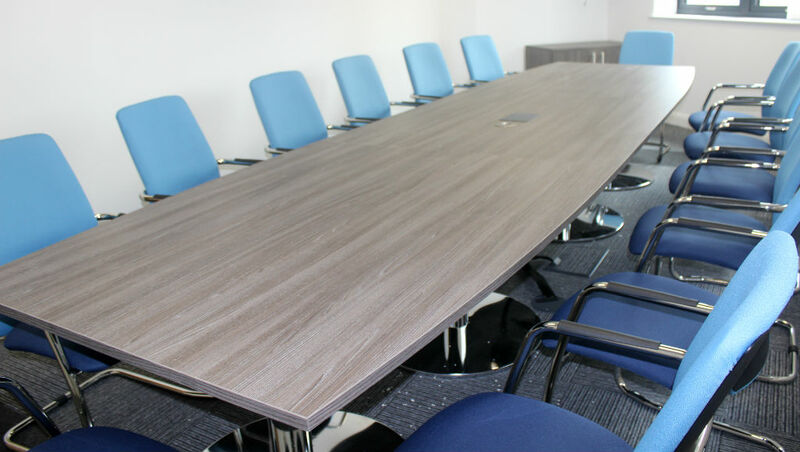 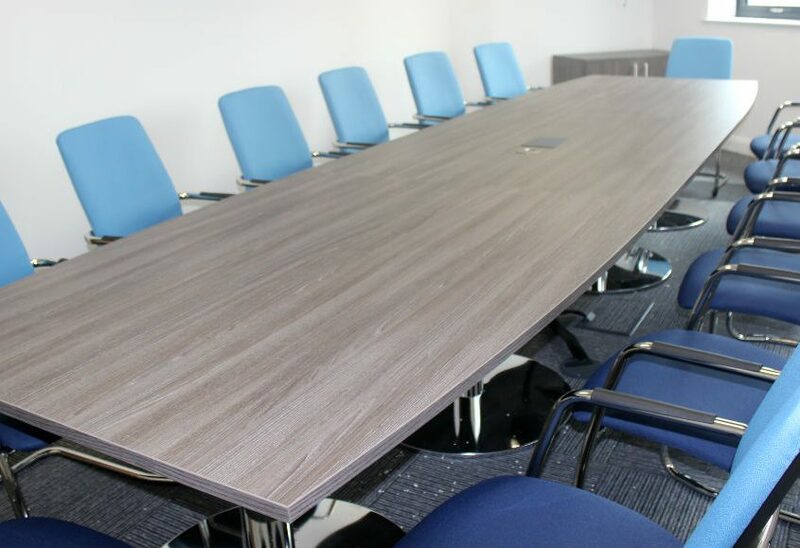 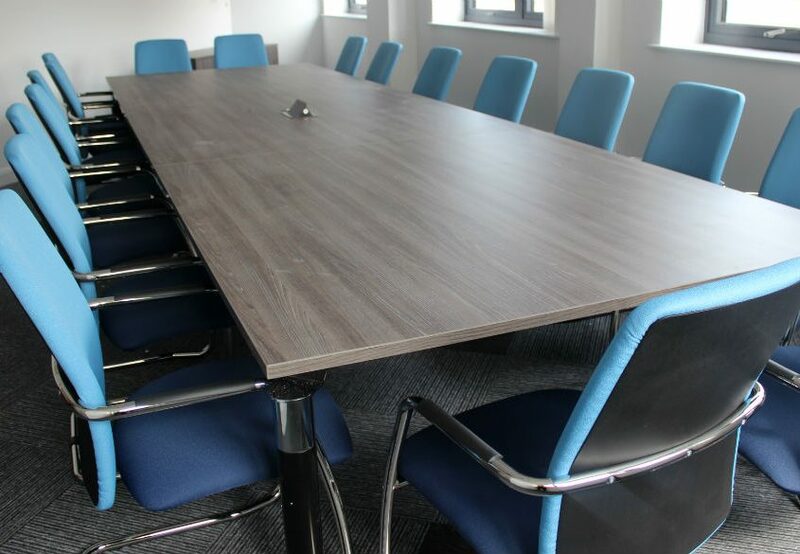 In the boardrooms we used different shaped tables; boat shaped with a tulip base, elliptical table with a tulip base and a regular rectangular one, all matched with MG01 meeting chairs in the light blue and dark blue again. 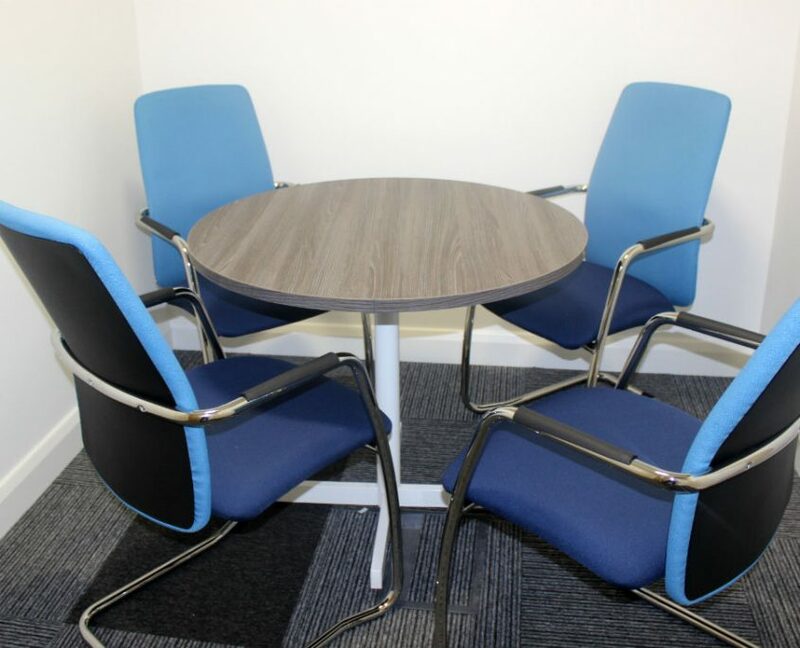 In the breakout area we used circular tables in anthracite with Giggle chairs in blue too. 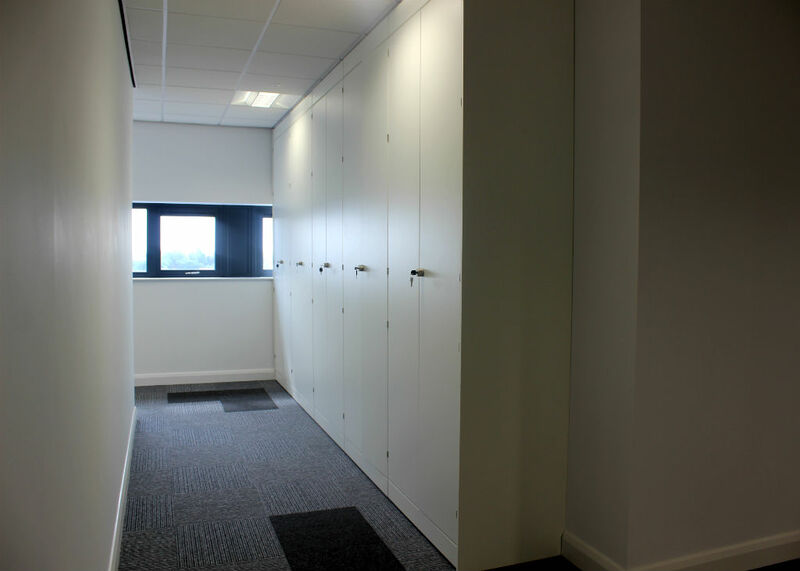 We also had special storewalls measured and fitted to the exact size in white.